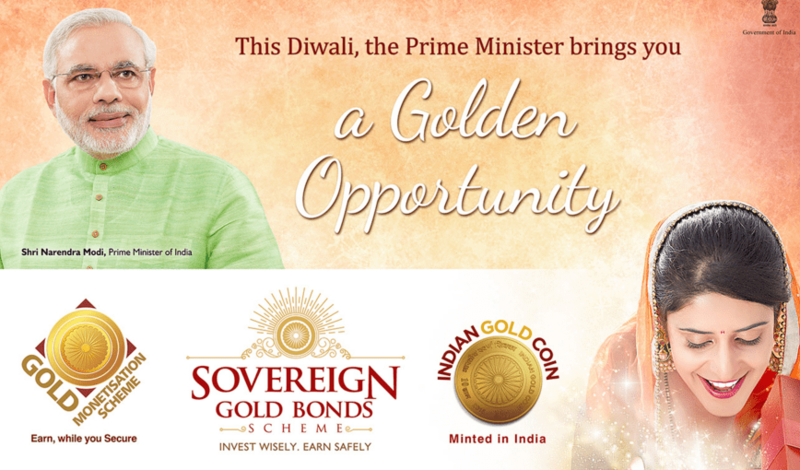 The first I heard of the Sovereign Gold Bonds was on Dhanteras day when my bank tried to get me to purchase some of them.At the time , I was on my way out shopping and my first thought was: Do I really want to postpone my gold purchases for a year to earn an additional 275 rupees per Rs10,000/-?Yaar, I could haggle with the jeweller and easily get that much and more off my purchases. And then, I love wearing jewellery.Do I want to give up on that pleasure and experience, multiple times a year, for as little as 275 rupees? That too in the days when one simple restaurant meal, or a taxi ride might cost that much and more? The answer then was an easy “NO”. Later, I was to learn worse about these bonds. They are priced higher than the price of physical gold on the street. So there goes any notional interest a person might have earned! Worse, these bonds don’t compound. So if you had vague notions of letting your gold holdings grow quietly in the background, forget about it. Worse at maturity, should the price of gold have gone up, you pay capital gains tax. So you then have the honour to go to the market with substantially lesser money to see how little you get for your patience and foolishness! The government of course doesn’t have to incur the 7% hedging costs it now pays and manages to fob you off with promises of 2.75% interest. Whenever, anyone offers you money for the use of our money, do consider if you really wish to postpone living your life and content yourself with the interest money, while they attempt to give substance to their vision and live the life of their dreams. Thanks but no thanks. This is one “Golden Opportunity” I’ll pass up on. about a ton worth of gold bonds were purchased this year, in the investment prospective gold bonds are passable but for government point of view they are a hit. And they are playing it up a lot especially as the opposition fried them over the gold deposit scheme!